Bob Kloote - SCI Technology, Inc.
Mr. Kloote is Vice President of Aircraft Systems for SCI Technology, Inc. (SCI), a Sanmina company, in Huntsville, AL. 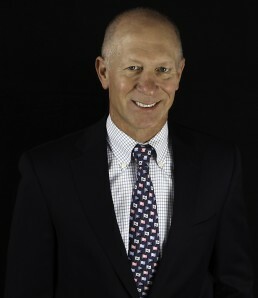 Bob is responsible for leading the Aircraft Systems business segment within SCI, which includes customer relations, profit/loss, program performance, professional development, and the acquisition of new and follow-on business. Bob brings more than 30 years of experience in the defense and aerospace business. During this period, Mr. Kloote has held positions in quality engineering and contracts management with Honeywell, subcontracts and procurement management with United Technologies, and over twenty years with Sanmina-SCI in program management and business development. Bob served four years as an officer in the US Army. Mr. Kloote has a MBA degree and a MS degree in Contracts and Acquisition Management from Florida Tech, and a BS degree in Mathematics from Eastern Michigan University. He has earned CM, C.P.M. and CPCM certifications and instructed graduate level courses in procurement, program management and contracts management.